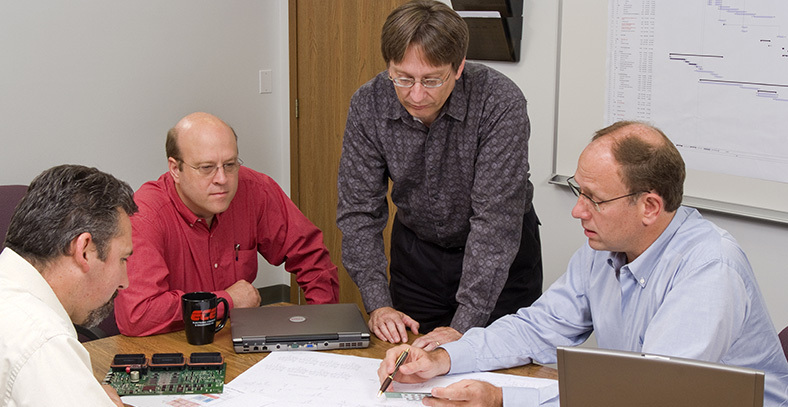 Electronic Concepts & Engineering, Inc. (ECE) develops rugged electronics and software. We specialize in Military and Aerospace electronics, Automotive electronic design, and Industrial electronics systems. Since our inception, ECE has been a well respected electronic system and software developer for many Fortune 500 companies as well as numerous smaller companies. ECE has an experienced staff of Ph.D., MS, and BS degreed engineers each having 25 to 35+ years experience in their respective fields. Our programs range from individual tasks to “clean sheet” designs which require hardware and software development, qualification testing, and system integration support. Electronic Concepts and Engineering, Inc. is a technology-based Electronics and Software Engineering company located in Toledo, Ohio. We are represented by Congresswoman Marcy Kaptur in the 9th Congressional District. We welcome you to contact us to discuss your embedded electronics and software development projects. Our team of consultants looks forward to helping to make your custom project a success. Electronic Engineering & Concepts, Inc.
ECE is a Veteran Owned, ISO 9001 with AS9100 registered, Small Business.